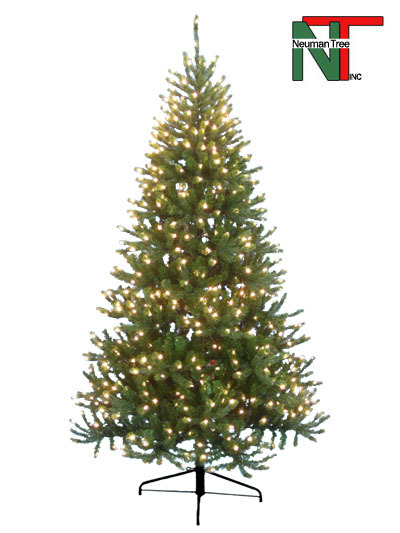 This gorgeous Colorado Fir is an incredible value for a Neuman Tree! In addition to a deep color and realistic, cylindrical tips, this conveniently-sized tree features the Brilliant Lighting System. Finger shaped light strands unobtrusively extend a light to almost every tip, giving you a brilliantly lit tree without any unseemly wires. Shaping this tree right out of the box is made easy with each layer tied separately. *Colorado Fir 7.5 Feet pictured. 100 replacement lights are included with each tree, as well as two tree stands (for shaping, or converting your tree to a smaller size).